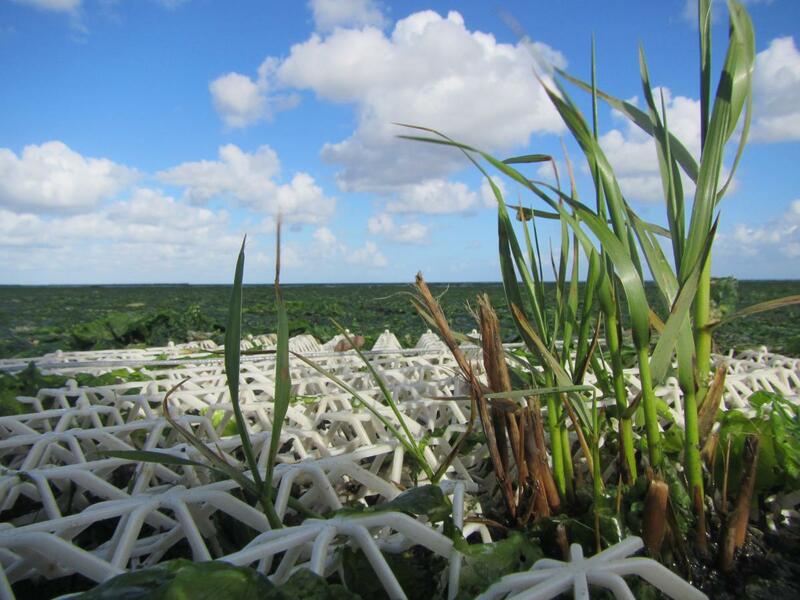 Radboud University, Nijmegen, is testing how structures made from biodegradable potato waste-derived starch might be used to restore marine ecosystems as part of the MERCES project. The structures, known as BESE-elements (Biodegradable Elements for Starting Ecosystems) (Fig. 1) were developed by the environmental consultancy Bureau Waardenburg (www.bese-elements.com). 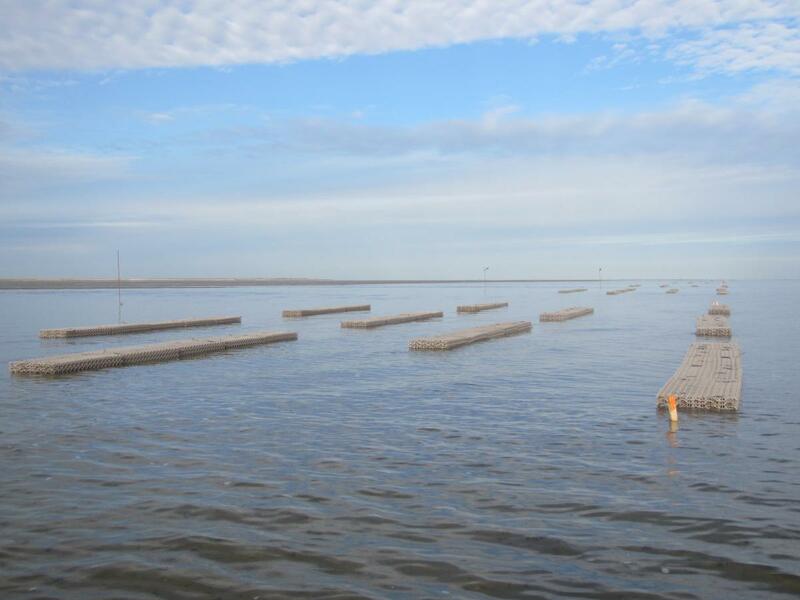 The aim of the study is to determine whether the introduction of mussel beds in BESE-elements improves for the success of seagrass restoration measures. A large scale field experiment was setup in March 2017 at the Wadden Sea island of Griend in the Netherlands (Fig. 2) to study the facilitating effects of mussel beds (Mytilus edulis) on seagrasses (Zostera marina) planted behind the mussel beds. 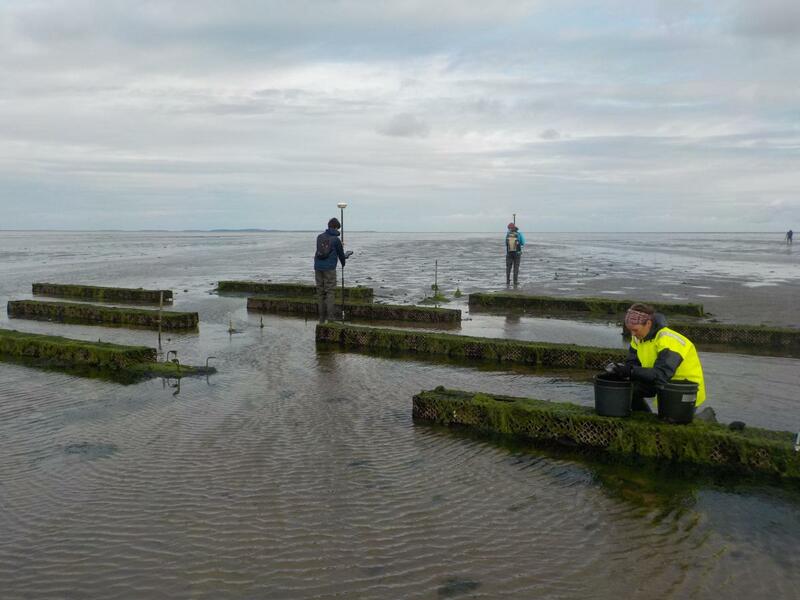 Biodegradable structures were used for the introduction of both the mussel beds and patches of seagrass. The experiment will be monitored at regular intervals over the next 2 years (Fig. 3). The experiment is a collaborative effort between MERCES, the Local Authority in Griend, the Netherlands Organisation for Scientific Research Domain for Applied and Engineering Sciences (TTW) (previously the Technology Foundation STW) and is being conducted by Radboud University Nijmegen, Bureau Waardenburg, Netherlands Institute of Sea Research (NIOZ), Groningen University and the Fieldwork Company, Groningen. 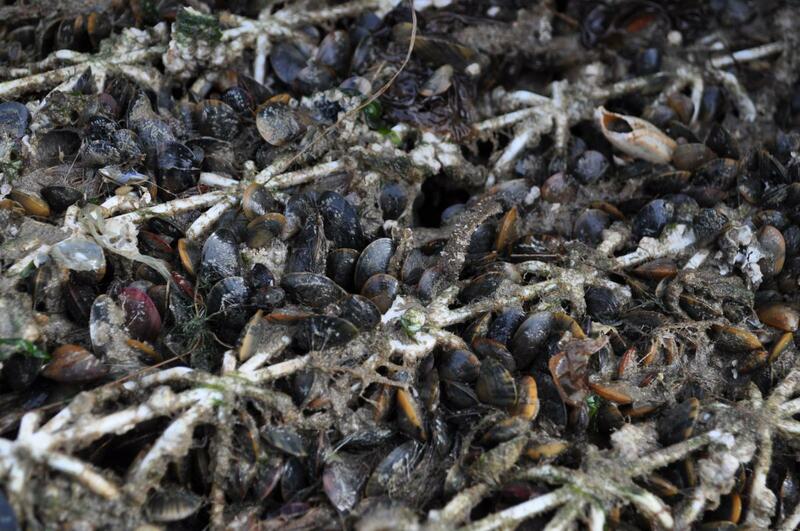 A number of efforts were made in 2012 to improve the health of littoral mussel beds in the Netherlands. While these activities yielded greater knowledge only a few attempts resulted in the successful restoration of mussel beds.Young mussel recruits were not able to overcome pressures from predation and sediment destabilisation. As a solution, a matrix structure shown previously to be successful in the recruitment of freshwater mussels was implemented in a small pilot project. This led to good recruitment. However, the basic material used was plastic which was not desirable in a conservation area. Therefore, a novel biodegradable alternative was developed, multi-purpose Biodegradable Elements for Starting Ecosystems (BESE-elements), consisting entirely of biopolymers based on potato waste. In contrast to many other bioplastics, the product undergoes complete breakdown in a natural environment without the need for composting agents (Box 1). BESE-elements thereby create a window of opportunity to bridge critical thresholds and enable ecosystem establishment needed for successful restoration. To test the applicability of BESE-elements in other wetland settings, a consortium consisting of the developers, scientists, manufacturers and end users is now collaborating in the project “Bridging Thresholds”. 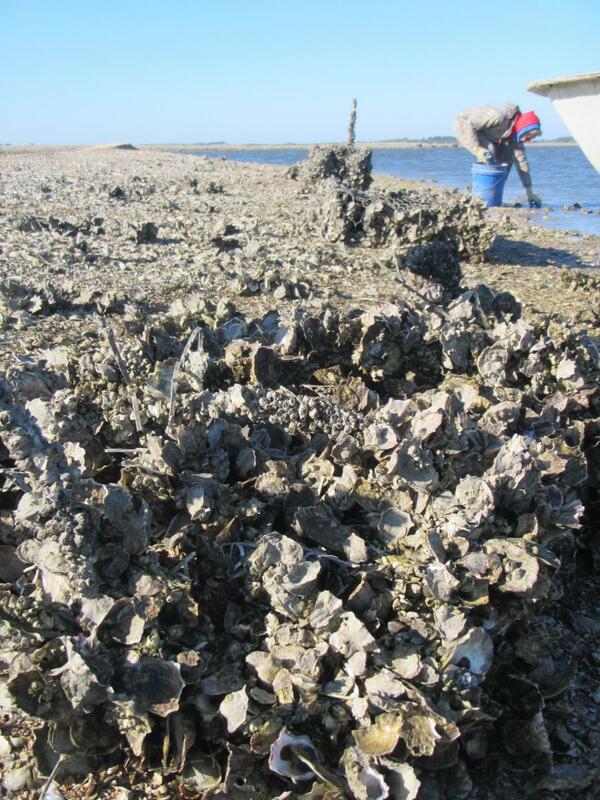 The material is currently being tested for its applicability in the restoration of coastal ecosystems (mussel beds, oyster reefs, saltmarshes, mangroves, coral gardens and seagrass beds) in pilot projects in the USA, Indonesia, Singapore, Mexico, Bonaire, Sweden, Finland and the UK (Figs 4 and 5). Other applications include riverbanks (for reed beds), submerged aquatic vegetation and dune vegetation. Since the structure is modular a variety of shapes can be customised based on the ecosystem needs and adjusted depending on the outcome of the pilot projects. The BESE-elements have been developed by Bureau Waardenburg, together with the Radboud University of Nijmegen, Enexio and Rodenburg Biopolymers. For more information please contact Karin Didderen k.didderen@buwa.nl and Wouter Lengkeek w.lengkeek@buwa.nl, Bureau Waardenburg. Photo credits: Karin Didderen, Bureau Waardenburg.